I read/listened to 10 books this month. Five were in print, 1 was an egalley, and 4 were audiobooks. Of the 10, five books were for review. So I did pretty well on my goal of reading more review copies and more in print books. 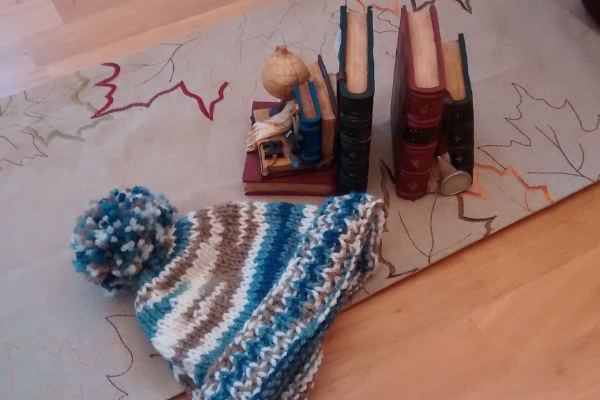 I picked up these adorable bookends (and a warm hat) at Holiday Vendor Market. I put together my annual Book Buying Guide which is the best books I read this year. This year many of them published this year, but there are at least a couple of older titles on this list. Since I listened to many more audiobooks this year, I added a separate category for the audiobooks I recommend. I had trouble getting into the story. There is a lot of information spouted about quantum physics and then there is the constant vocabulary lesson. Seriously, 8th graders should know how to use a dictionary if they can't decipher the meaning from the text so the author shouldn't need to define the words within the text. I also had trouble with the plot. It felt jagged. This book is basically just background information; the real story seems to start in the next book. I received a free book for an honest review. Read my full review. This book was a little better than book one, but the story was still too choppy for my liking. And it is a bit too thin on the plot as well. And why was the story recapped at the end? 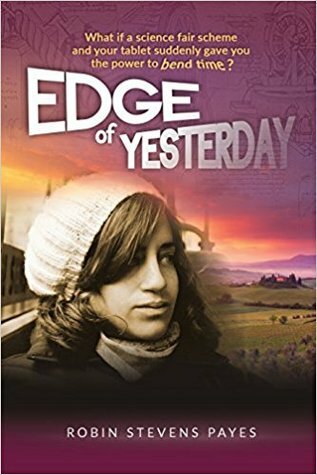 Can an 8th grader not retain major points of a story from the start to finish? That's hard to believe given that the book is 129 pages (and there are a few pictures) - there is a sneak peek of the next book. I received a free book for an honest review. Read my full review. As good as I expected it to be. Pretty much every character from the All Souls trilogy is mentioned or shows up in this book. And while it is mostly focused on Marcus's past and Phoebe's transformation, there is still plenty of focus on Diana and Matthew. Diana is still the first person narrator in the story. Read my full review. A friend loaned me the book. I met this author at a couple of local festivals this year. She is a local author me. So even though I'm not a Mama I thought I would give it a read. Also, it is Nonfiction November so I thought I it would be the perfect time to pick it up. The author gave me a free copy of the book. Read my full review. Living with passion is not just for the select few. You were created to pursue your dreams, share your talents, and express the authenticity of who you are. This is a true story about an everyday mama who finds a passionate life. It is a story of her triumphs and challenges, setups, and setbacks. A story of hope, determination, and happiness. 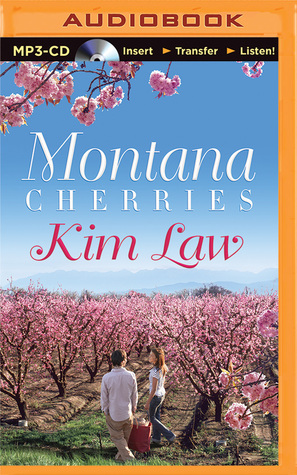 Follow her journey as she embarks to discover the best of her life. Learn what it takes to live on a level designed for you by God. 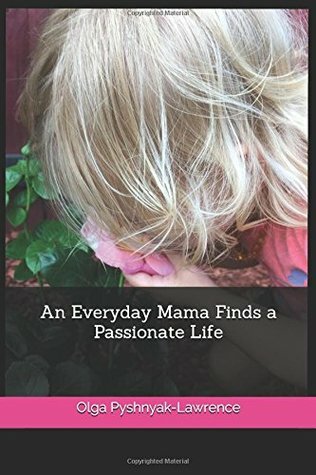 This book is for the mama who is not afraid to want more out of life, who wants to leave a legacy of influence, joy, and inspiration to her children and the rest of her family. This is another local author. He is also the librarian that is in charge of the post-apocalyptic book club I go to. I liked the writing. I don't usually like Southern fiction, but I thought I would give it a try anyway. I think people who like historical southern fiction will like the book. A free book was provided by the author. My full review will post on Thursday. If you're inclined to Southern gothic, this is the book for you. 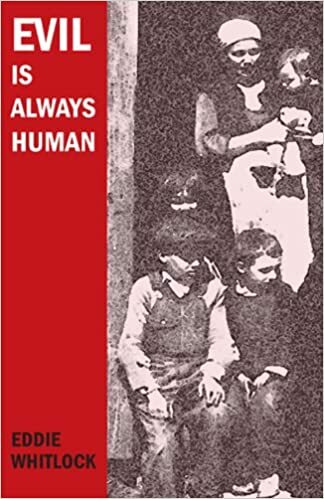 Narrated by the oldest son of a family of Georgia sharecroppers in the early 20th century, the story evokes the chilling truth that neither good nor evil manifests itself until it comes into possession of the hands, feet and heart of humans. If you shivered reading the stories of Flannery O'Connor, you will when reading the work of this new Georgia author as well. I enjoyed the story of Dani and her family. I liked the theme of coming to terms with your past in order to determine your future. The audiobook was well done. 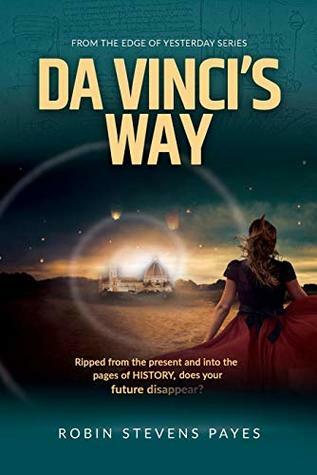 This was a Prime free ebook with Audible narration. This story really sucked me in. 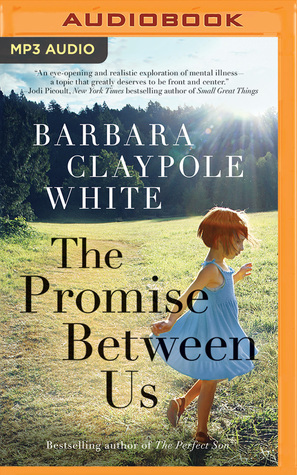 I've been wanting to try a Barbara Claypole White book since my review Susan is always raving about them. I wasn't disappointed. I did think so many of the characters having mental health issues was a bit over the top. Even though the narrator added accents I sometimes had trouble telling the characters apart when they spoke. This was a Prime free ebook with Audible narration. I try to keep everything Christmasy to after Thanksgiving but this winter novel sounded good and I needed something to listen to the last few days at work before the Thanksgiving break. While Christmas and New Year's Day occur in the novel, it is not a holiday romance. There is a bit of romance, but it is more about family. I really enjoyed it. It was a Prime free ebook with Audible narration. A really great mystery. I was shocked by who did it. There were times where I forgot it was a mystery as there wasn't much in the way of suspense. But the characters were interesting and I liked all the historical references. This was a Prime free ebook with Audible narration. ust beyond the Gilded Age, in the mist-covered streets of New York, the deadly Spanish influenza ripples through the city. But with so many victims in her close circle, young socialite Allene questions if the flu is really to blame. 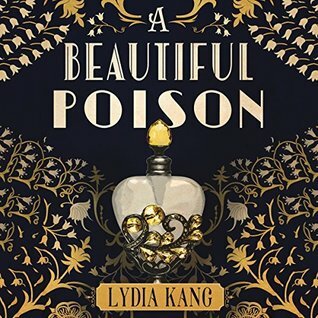 All appear to have been poisoned—and every death was accompanied by a mysterious note. It took me a while to get into the story. The first third of the book took some time to get through, the next two-thirds read a bit easier. I received an advance copy from Netgalley. Read my full review. 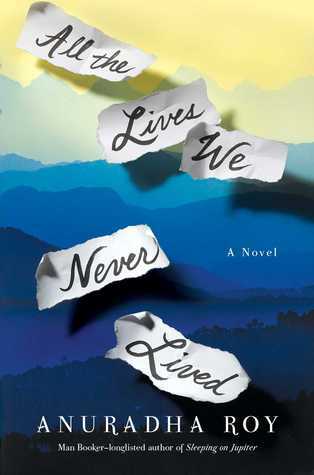 Anuradha Roy’s All the Lives We Never Lived is a spellbinding and emotionally powerful saga about family, identity, and love. Linked to It's Monday! What are you reading? 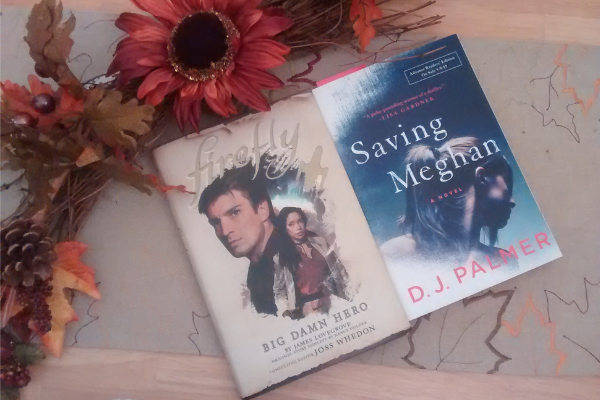 at BookDate and Monthly Wrap-up (with giveaway) at Feed Your Fiction Addiction. 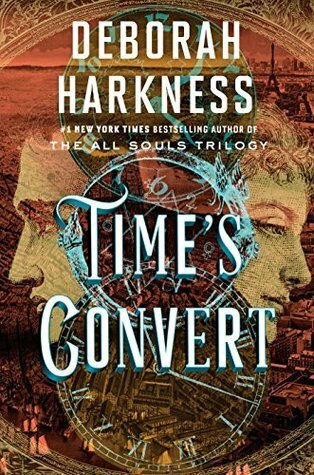 I have not read any Harkness yet. Enjoy! Nice assortment of books. I read mostly on my Kindle these days with an occasional print book thrown in for variety. Come see my week here. Happy reading! I am another book raver about Barbara Claypole White's books - I have loved all the ones I have read of hers. I am happy that you enjoyed the Barbara Claypole White book. Congrats on hitting your reading goal! I’m hoping to reach 100, but I’m currently 3 books behind. Have a great week! Congrats on reaching your goal this month. Those bookends are adorable, it's hard to find cute bookends these days. I have this book by Deborah Harkness, I've been holding off on reading it until I read A Discovery of Wishes books. Have a lovely week. I haven't read any of your November books, but you certainly chose diverse genres and that's how I like to read too. November I read middle grade and YA contemporary, YA science fiction, middle grade fantasy, adult nonfiction, and many picture books. Congratulations on reaching your goal, that's so exciting! Here's hoping you can hit 120 by the end of the year. :) And I LOVE that beanie, it's super duper cute! I practically live in mine out here whenever I'm outside and haven't seen that combo of colors locally. Love it!